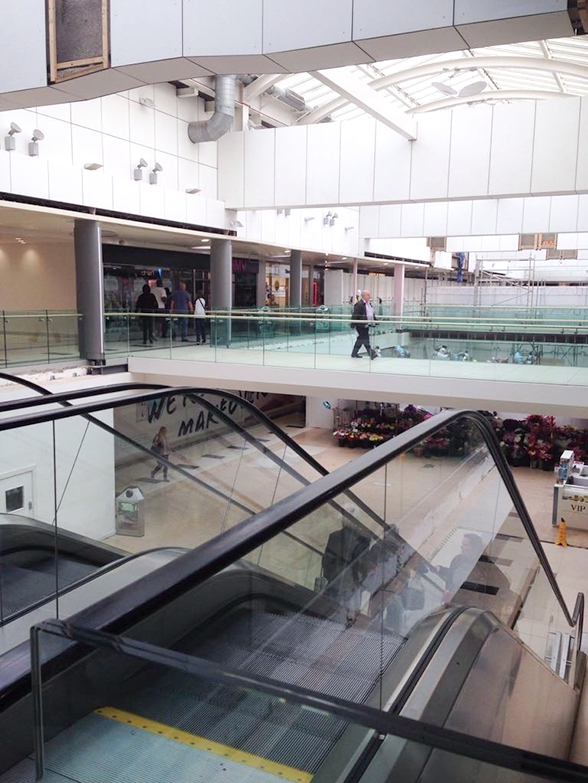 Kite Glass re-visits the Mander Centre in Wolverhampton, back in 2003 Kite Glass was involved with this project supplying and installing a variety of glass for balustrade including 19mm curved Heat soaked toughened glass for the staircase and 10mm Heat Soaked Toughened for infill panels. 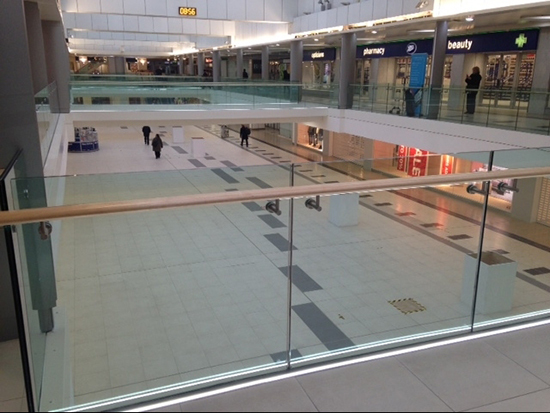 It was great to return and supply 20.89mm Toughened and Laminated with Kuraray SentryGlas®. SentryGlas® interlayer for laminated safety glazing is an innovation in the Kuraray family of glass laminating products. It extends the performance of laminated glass beyond current technologies. SentryGlas® interlayer offers five times the tear strength and 100 times the rigidity of conventional PVB interlayer. Because of its added strength, clarity, durability, fabrication and installation ease, it is an excellent candidate for demanding applications in the architectural market place. 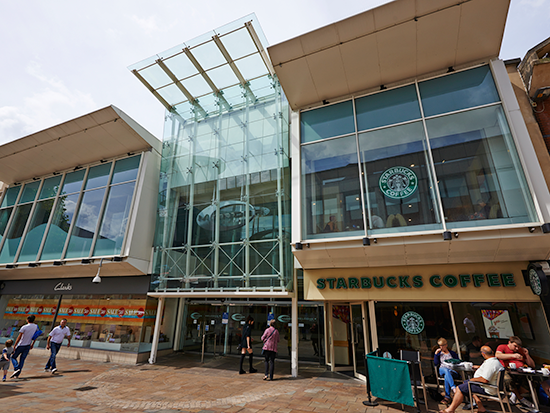 Kite Glass was one of the first in the UK market to successfully process this product and has been doing so since 2006, and is therefore recognised by Kuraray as an officially approved supplier of SentryGlas®.